Our friend Joanne Palmer, editor of the Jewish Standard, published an article on this year's Sweet Tastes of Torah that is worth noting here on the congregational blog of Adas Emuno. In some ways, everything is different this year. In other ways, things are the same; we build on successes and learn from missteps. The Sweet Tastes of Torah, the annual program that offers the community workshops with local rabbis, all of them members of the North Jersey Board of Rabbis, has been going strong for almost a decade now. About 18 Conservative and Reform rabbis will teach two sessions of classes on February 3 at the Fair Lawn Jewish Center. But this year, in response to the increased urgency that many people feel to do something, to understand more about what they can do and to know more about the Jewish context that can nourish their instincts and actions, Sweet Tastes of Torah is reshaping the evening. It will begin with the usual spirited Havdalah, and it will end with the usual and much-anticipated dessert, as well as Israeli folk dancing (to even out the dessert), but it will include a keynote address, which will provide the focus for all of the first session’s workshops and some of the second. So far, so good, you may say, but what really makes this year's event different from all other years, you may ask. Well, then, read on! The keynote speaker is Rabbi Barry Schwartz, who heads Congregation Adas Emuno in Leonia and is the CEO and editor-in-chief of the Jewish Publication Society. In what must have been his abundant spare time (assuming that either he never sleeps and has figured out a 36-hour day), he has written Path of the Prophets. The latest of his books—he wrote a children’s book, Adam’s Animals, that came out in October—looks at some of the prophets—both the obvious ones, like Isaiah, Jeremiah, and Ezekiel—and biblical figures who were not called prophets but who functioned in that way, characters including Judah, the midwife Shifrah, and Ruth. 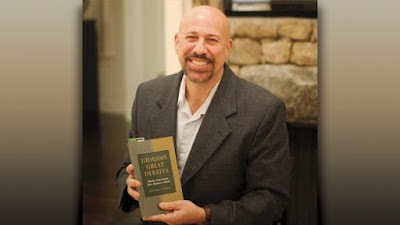 Although Rabbi Schwartz worked on his book for five years, he said, and therefore he began the work well before today’s political situation evolved, “it just so happens that it’s coming out at a time when we are so conscious of the ethical issues that are swirling around the presidency and also the #MeToo movement. This invitation to deliver the keynote came smack at the time when the Harvey Weinstein story was just breaking, and it seemed that every day there was a new story. Because his book is about prophecy—and about ethical living, which prophecy demands—it seemed absolutely timely, he said, and that is a great sadness. “I thought that I was writing it in order to make my contribution to the conversation about the prophets,” he said. “They inspired me when I was younger, and I wanted to do that for the new generation. He talked about his book’s structure, and how the workshops at Sweet Tastes will mirror that structure. “The book is divided into three sections—justice, compassion, and faith—reflecting Micah’s admonition to ‘do justice, love mercy, and walk humbly with your God,’” Rabbi Schwartz said. “Certainly we are seeing ethical crises of leadership, particularly political and sexual in nature; these crises are happening so fast that we can hardly keep up with them. My thesis is that the prophets of ancient Israel brought forth an ethical revolution, and we need to retrieve their often overlooked or forgotten messages today. It will help inform us, perhaps it will help steady the ship. “Part of what I will raise in the keynote is that it is not enough for us to lament what is going on. It is not enough for us to raise our concerns and then move on. In some ways, that is putting our heads in the sand, and the prophets would say no, that is not enough. Rabbi Heschel, of course, is Rabbi Abraham Joshua Heschel, the 20th century Jewish theologian and political advocate whom Rabbi Schwartz counts as among his inspirations. So, he said, was the rabbi of the shul to which his family belonged when he was growing up, in Croton-on-Hudson in New York. “Rabbi Michael Robinson, of blessed memory, was a disciple of Heschel’s, and one of the dozen Reform rabbis who were arrested with Martin Luther King in St. Augustine,” he said. “He was a true advocate for social justice, and I grew up with him, listening to him quote King and Heschel and the Hebrew prophets. Among the prophets Rabbi Schwartz writes about are Judah, who walks the “path of repentance,” he said. “Judah is the first character in the Bible who undergoes what we think of as repentance, and he changes.” And then there is Caleb the spy, “who had the audacity and the courage to stand up to his fellow spies, and he countered their terribly pessimistic report about the land they were about to enter with a more optimistic report. He was an example of someone whose spirit gave him the ability to stand forward. So, will his keynote address at Sweet Tastes of Torah be overtly political? It probably depends on how you define political, and for that matter how you define overt. “I definitely will reference what is going on today,” Rabbi Schwartz said. “I am going to recall the names of so many people caught up in scandal today, without dwelling on any of the particular individuals or the details of their stories. But I do want to begin by painting a picture of the sordid state of affairs. I certainly will mention political figures and the figures in the worlds of entertainment and the like who have been caught up in political and sexual scandals, without going into detail. “And then I will move directly to the message of the prophets, which is about not making ethics peripheral. They should be central to our lives. And then, of course, after all the discussion and soul-searching, there always is dessert. When: On Saturday evening, February 3; doors open at 6:30 and Havdalah is at 7.